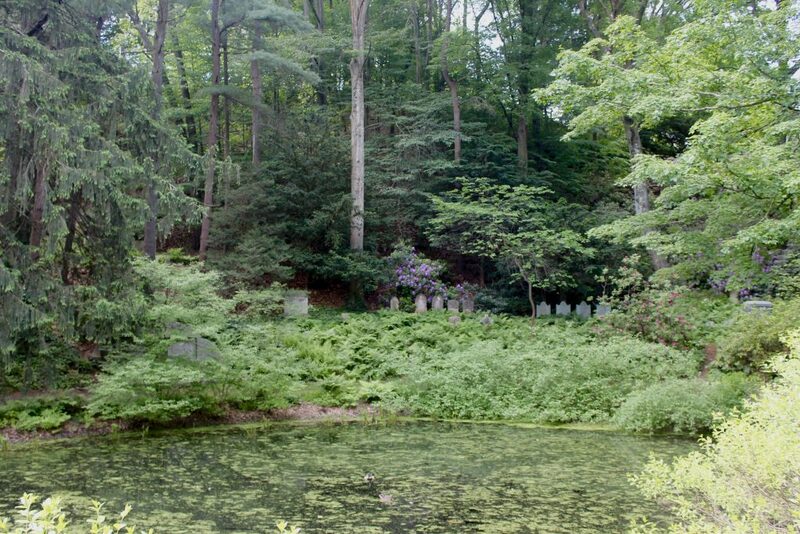 With its lushly-planted 175 acres, Mount Auburn provides the perfect habitat for many species of urban wildlife. 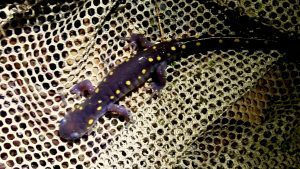 Spotted Salamanders, frogs, turtles, and coyotes are among the species that make the Cemetery their year-round home. For several species of migratory birds, Mount Auburn provides temporary shelter for a few weeks each April and May. Mount Auburn is committed to protecting important wildlife habitat in this densely developed urban area. 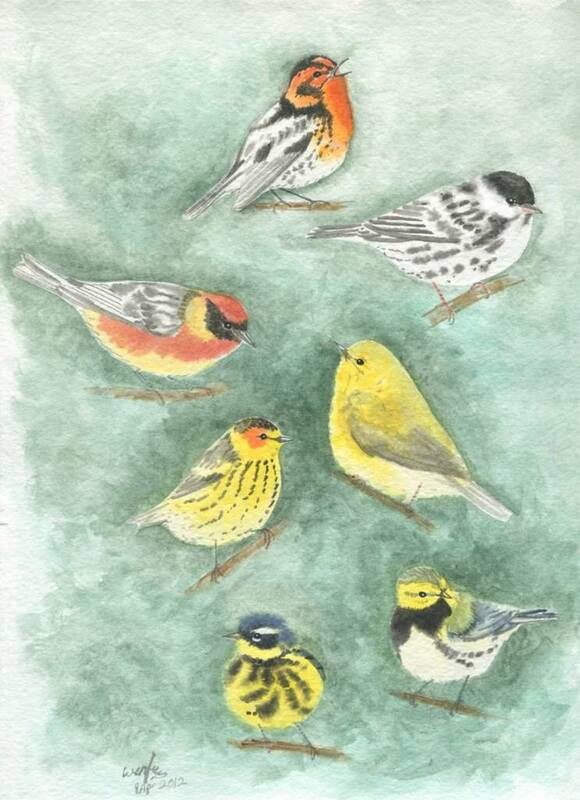 Roger Tory Peterson was the first to coin the phrase” Confusing Fall Warblers” in his Field Guide To the Birds first published in 1934 and devoted separate pages depicting those birds and pointing with arrows the significant points to look for during the fall migration. John Dunn in his Field Guide to Warblers of North America (Peterson Field Guide Series-1997) states: “Despite the fearsome concept of “confusing fall warblers” the identification is generally straightforward given adequate views”. 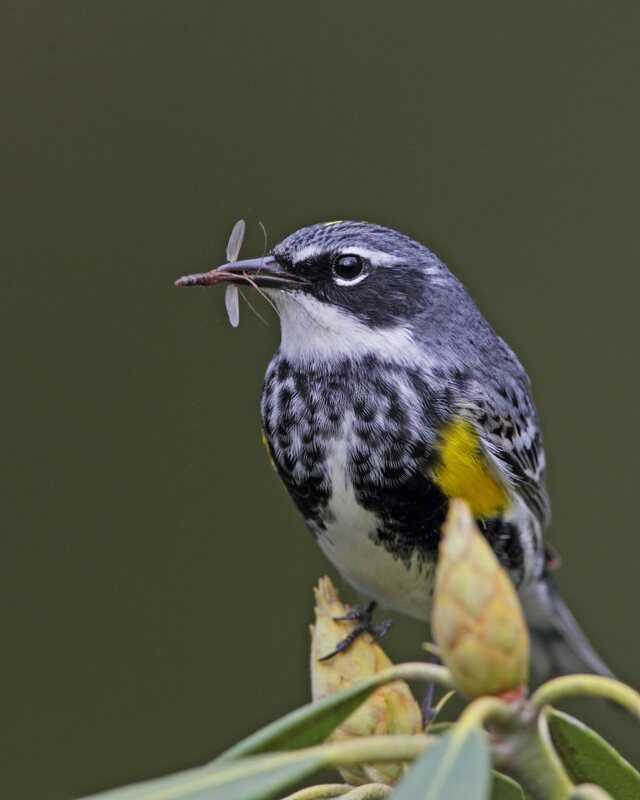 Before fall migration, many species of warblers lose their bright and distinctive spring plumage and molt into duller or drab colors for the winter months. So how does the new birder identify warblers in the fall? First remember that there are basic features such as wing bars that help to identify the warbler in any plumage, then there is habitat preference, the Common Yellowthroat likes marsh and other wet habitats; the Wilson’s and Canada warblers tend to be found low in thick shrubbery and many others prefer the tops of trees- exactly like they do in the spring. Watch for distinctive behavior: the American Redstart always fans its tail, the Palm and Prairie warblers raise their tails. Warblers rarely sing in the fall so you need to familiarize the call notes or chips they make, this is a bit more difficult but it easy to start with the Yellow-rump’s fairly distinctive loud “check” call. 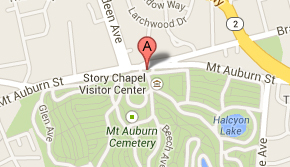 Here at Mount Auburn you won’t see the multitude of birders that “flock” to the Cemetery each spring. It is quite frustrating to see birds at this time of the year, remember they don’t sing, rarely make any noise, and are hard to detect in fully leafed out trees. 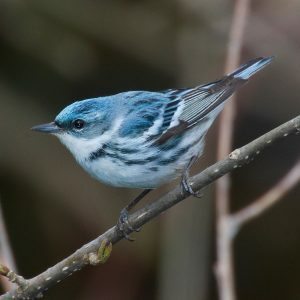 Birders tend to look for fall migrants at coastal locations where trees are shorter and have been known as costal traps, as birds tend to follow the coast line in fall. The good thing is that fall migration is more leisurely, starting as early as July and continuing right up to the first days of December. In the fall, birders at Mount Auburn should concentrate around the ponds, I’ve had the best results at Auburn Lake, lots of low shrubs, and easy access to get a drink- essential for the migrating warblers. Though most warblers are strictly insect eaters, some – especially the Yellow -rumped – will also eat seeds, and the black-eyed susans and cone flowers at Auburn Lake are ideal for them in late summer, as well as the Sweet Bay Magnolia which also attracts both warblers and other birds to its flowers. During the fall migration the Mount Auburn birder has the opportunity to find a few species that are rarely encountered in the spring. The Connecticut Warbler is one of the most sought after species by birders in the fall, though not the most ideal location, look for it in the Cemetery around the ponds or up by the wildflower meadow at the Tower. The other bird that has appeared more often in the fall is the Yellow-breasted Chat- again look for it in similar locations. One rare fall warbler visitor to Mount Auburn was a Black-throated Gray Warbler which was present from September 27 through October 2, 2000, and brought back with it many of the spring birders. The month of May is when the peak abundance of migrant birds is found at Mount Auburn. In the following week by week timetable is a rather unscientific schedule of when you might expect the optimal time to see certain species. The third week of May is probably the week in which you could see close to 100 species in the Cemetery. 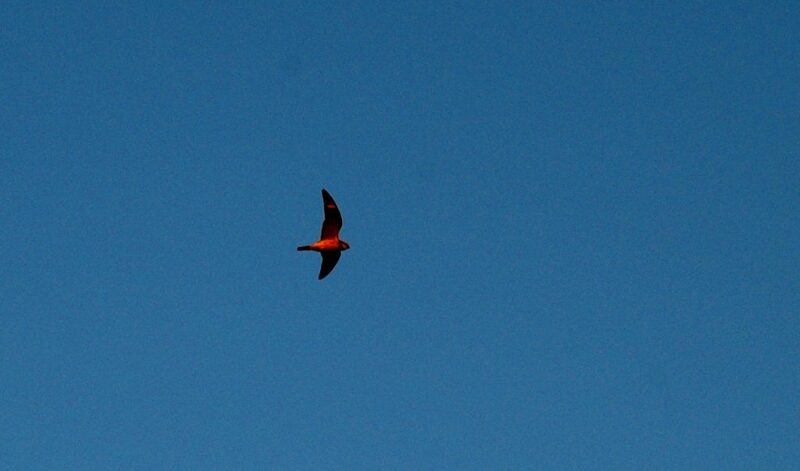 This week you still have a few stragglers from the last days of April and the first few of the birds that come in the last days of May. Remember that as the month progresses, the foliage gets thicker, so the earlier in the season that you can find a migrant, the easier it will be to see it!